A gripping, enthralling ride of conspiracies, controversies and corruption, The Code (2014-) is a six part Australian thriller that tackles the inner workings of the Australian government. The Code presents the beautiful exterior of Australia as a contrast to the corrupt and poisoned interior of the government. 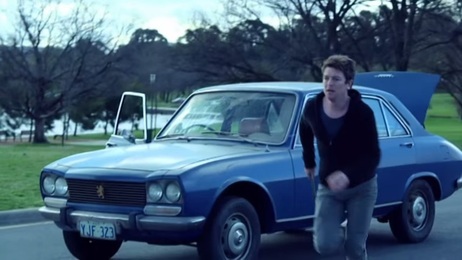 An online journalist Ned Banks (Dan Spielman) is given evidence by a whistle blower in the government that links a car crash involving two teenagers to a secret research facility. 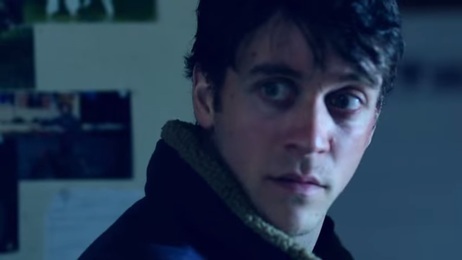 With the help of his aspergic hacker brother, Jesse (Ashley Zukerman), Ned uncovers secret files hidden in the research facility’s online database that alerts the higher political powers and uncovers information about the government’s amoral methods. The Code creates a strict contrast between the cold, ambient, urban locations of Canberra and the bright, colourful, panoramic views of the Australian outback. This contradiction connotes the amount of power politics holds over the country. The two environments represent beauty and ugliness; the high powers that exist in the cold ugly urban environment taint the beauty of the outback with its corruption and immorality. 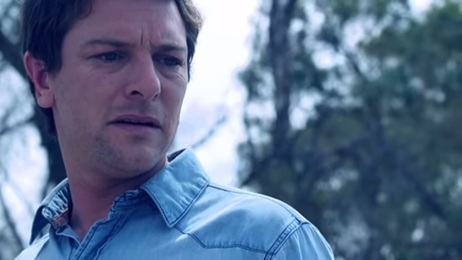 The thriller’s aesthetics construct an atmospheric backdrop to the series from the wide angles of the outback to the tightly framed government buildings. What sets The Code apart from many early thrillers is that it is very personal and foregrounds a complex chemistry between two brothers. Ned not only has to deal with the government but also his brother who suffers from Asperger’s syndrome. The Code chronicles Ned’s struggle to take care of his brother who is unpredictable and illegally hacks into company databases for fun. The conflict between the two brothers is the central arc in the series. Jesse becomes frustrated from being treated like a child and wants to be free from his brother’s care while Ned is tired of caring for his brother. Ned is the father figure who worries about Jesse, restricting him from any freedom in the knowledge that he might hurt himself or endanger others. This relationship is pivotal to the series as it both hinders and helps them in their objective. The narrative pacing is spectacular. A scene where Jesse hacks into an online database is extremely fast paced and tense. While Jesse hacks into the files, a graphic is on screen seeing what Jesse sees. The movement of the graphic is swift with files and text overlaying the screen. The edits quicken, the music escalates and the dialogue becomes terse and punctuated. The editing is used throughout the series to create tension. At the end of each episode the edits are short and snappy, showing the problem that the characters are in and creating a cliffhanger to keep you hooked until the next episode. The Code is full of surprises, detailing a web of corruption that implicates the whole of Canberra. The deeper Ned and Jesse go into exploring the link between the car crash and the research facility, the more they undercover about the scale of the problem, forcing them to question the trust of everyone they meet. It is a smart thriller that reveals a wide-scale operation of which the brothers must undercover the links between the commonalities. The Code presents a controlled chaos that is intelligent and beautifully shot with a tremendous cast that creates a thrilling enigma that you will want to crack.